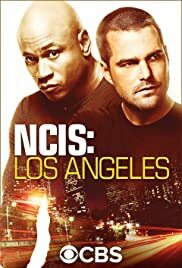 How many episodes of NCIS: Los Angeles have you seen? Q: Why is the overall IMDb review score of 6.7 so much lower than the ratings of the individual episodes from season 1 right through season 10, which center around a rating of 8? Q: Why Did Adam Jamal Craig leave the Show? Q: What happened to Supervisory Agent Lara Macy? I watched the crossover (call it the NCIS:LA premiere) last season between the two NCIS casts and really enjoyed it. Chris O'Donnell has grown up and yet, there is still that juvenile offender on the loose quality to him. Teaming him up with LL Cool J was a stroke of genius. They play off of each other so well. Pulling in Oscar winner Linda Hunt to play Hetty was a masterstroke. This show is well cast and the writing is solid. I have to disagree with other reviewers about Adam Jamal Craig and Daniela Ruah. I think they put in very solid performances as supporting team members. And Barrett Foa is perfect as the somewhat geeky technical assistance. All in all, a fun show to watch. I look forward to it marking as many seasons as it's forerunner, NCIS. 50 of 67 people found this review helpful. Was this review helpful to you?